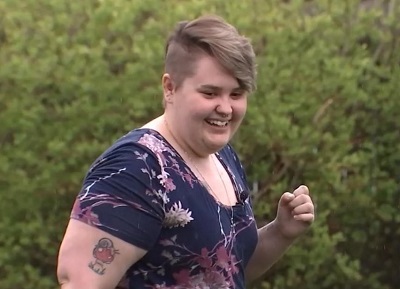 FOREST GROVE, OR (KPTV) -- A young woman in Forest Grove who survived two suicide attempts is sharing her story to encourage other people who may be in crisis to reach out and find help. Kelsey Johnson is now 20-years-old and just over a year into her recovery. She said it hasn’t been easy, but it’s been worth it. “The healing process never ends, but it does get a little bit easier,” she told FOX 12. Click HERE to watch the full story. From a young age, she was bullied in school and dealt with the issue over the course of several years. She developed serious anxiety, panic attacks and a distorted sense of her self-worth. “I had this mentality that if people are treating me like this and this is happening so often, then I’m unworthy of love and I’m unworthy of being treated right,” she explained. She was in middle school when she had her first suicidal thought. By the time she was 18, those thoughts turned to action. “I tried to overdose on some prescription pills I had,” Johnson recalled. “…It’s the idea that people are going to be better without me, or the world’s going to be better without me.” After that, her way of ‘coping’ was to pretend it never happened. Rather than addressing the issues that brought her to that point, she simply tried to move on. It didn’t work. A year later, at the age of 19, she tried taking her own life for the second time. “They told me at the hospital when I actually got to the hospital, the lethal limit was 1,000 mg and I overdosed by 1,500,” she said. “So I totally should have died that day.” It was the turning point in her life that led her to finally find help. “[I realized] I have to face up to what happened because I want to get better for myself,” she said. She moved back in with her parents, started seeing a psychologist every week, dug deeply into her church community and opened-up to her loved ones about her struggles. For more about Breaking the Silence, go to breakingthesilenceor.com.